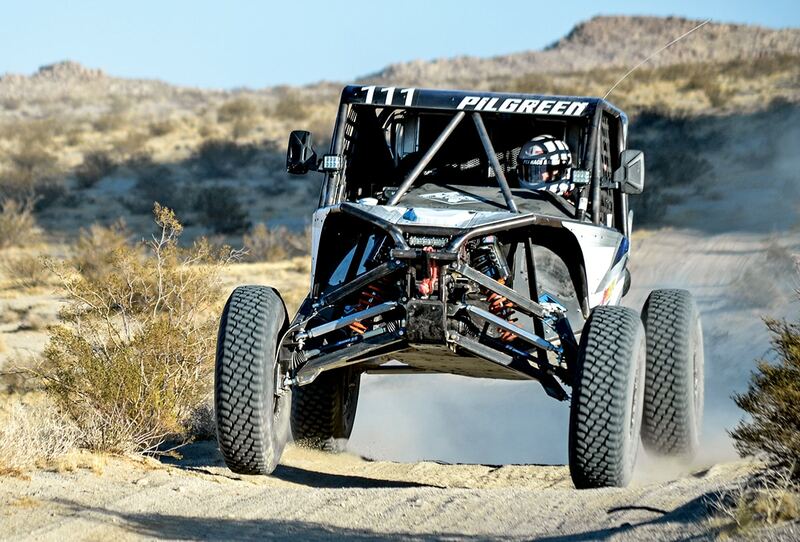 We are always excited when King of the Hammers rolls around every February. 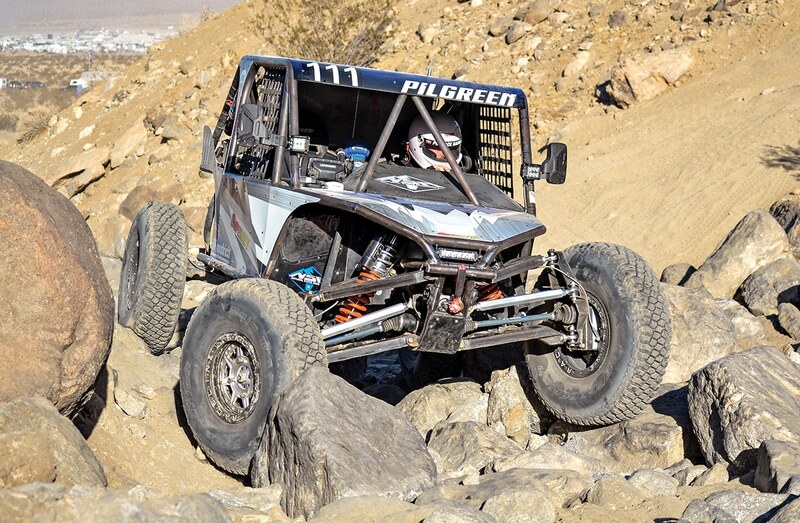 It’s a great time to check out the crazy builds people bring from all over the country; however, in the UTV class, most of the machines are pretty stock. The rules allow a nearly stock machine to race and, after an event like this, the car is pretty wasted, so people don’t put that much effort into building nice rigs. But, this year there was one exception. 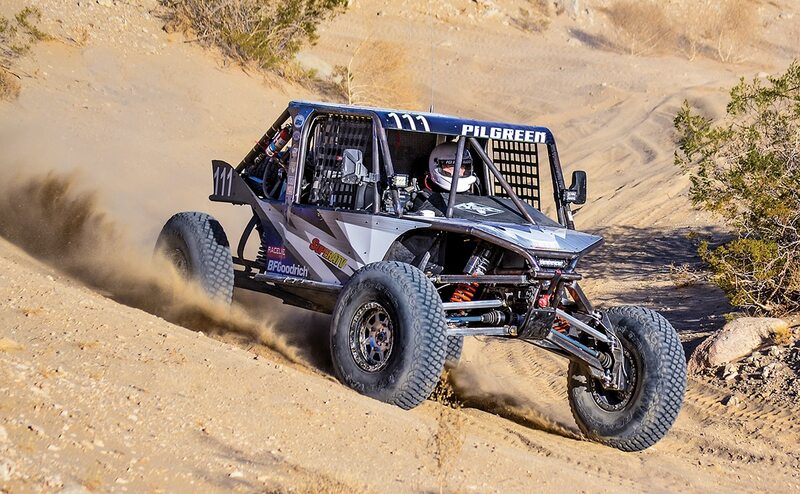 Ross Pilgreen drove all the way out to Johnson Valley, California, from Little Rock, Arkansas, to try his hand at KOH in a totally custom RZR he and his navigator, Heath Day, built by hand. Even the supplied parts, such as portals from SuperATV, were completely modified to Pilgreen’s specs. 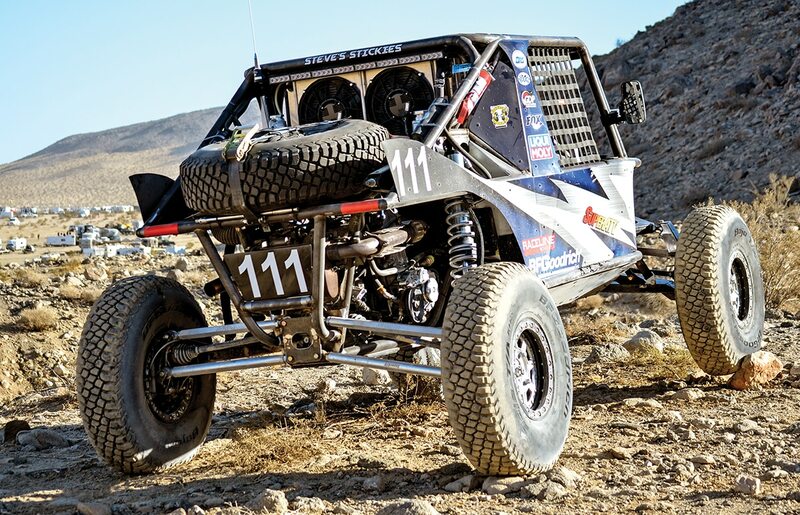 Here are the detailed images of the most custom-built UTV at the 2018 King of the Hammers. Ross literally built this car around the Super ATV portals. The spindle uprights and trailing arms encapsulate the portal housing, adding strength and better integration into the suspension. 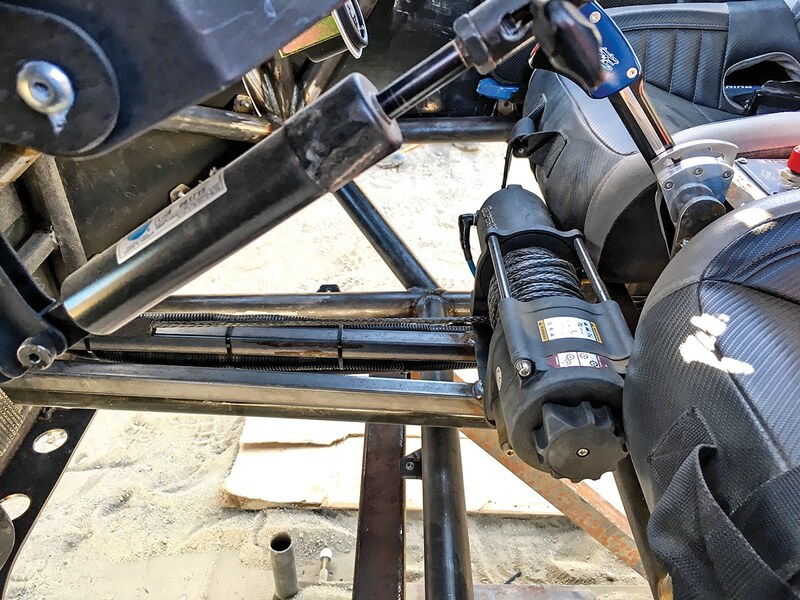 The SuperATV winch motor (5000 pounds) is mounted within reach of the driver. That way, Ross can unlock and lock the winch for quicker unspooling and spooling to get the car moving faster. The big trucks have used clear side panels and skid plates before, so the driver and passenger can spot the rocks for better tire placement. Pilgreen made his own. SuperATV portals contribute to huge ground clearance numbers (19 inches). The gearing is low enough to efficiently turn the 35-inch Class 10 BFGs. This is the first desert UTV we have seen running 35-inch tires. 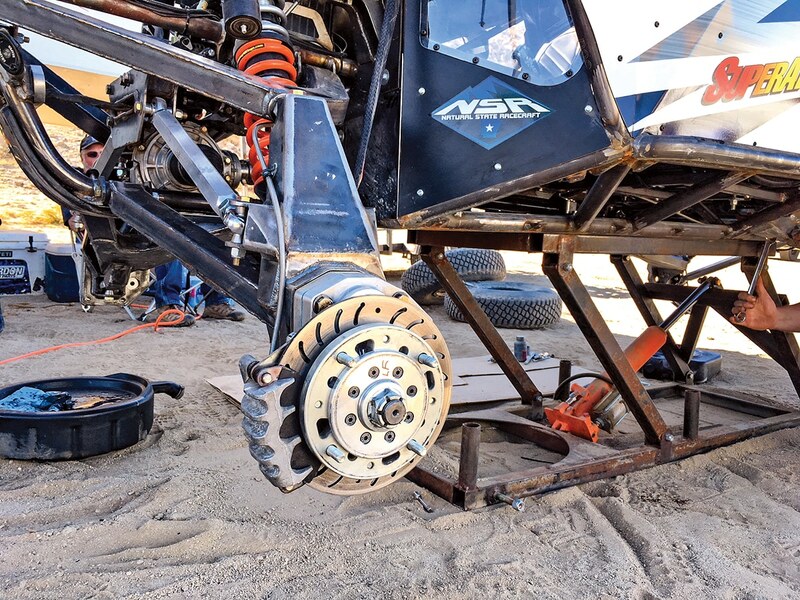 These are made by BFG specifically for Baja-type Class 10 race cars. This set is mounted on Raceline double-beadlock wheels. 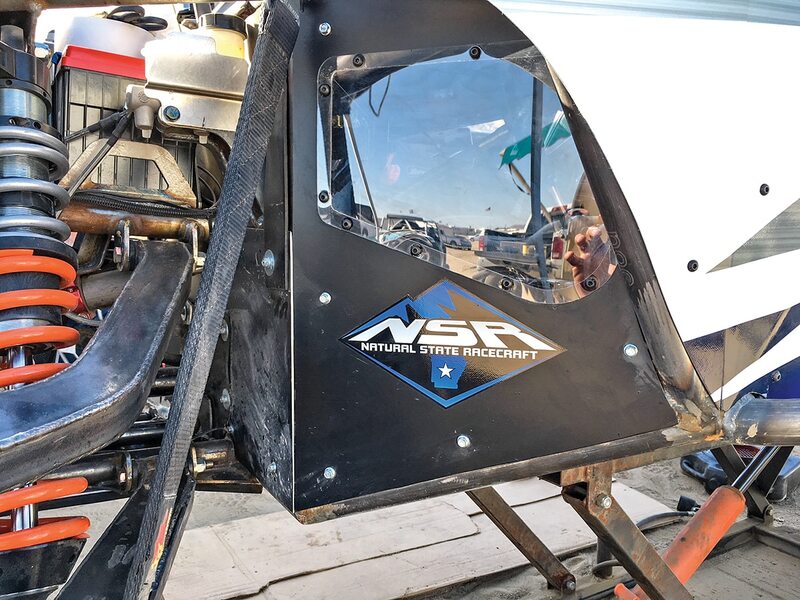 From the brakes to the bumpers to the bodywork and back to the exhaust, nearly everything is hand-built on this RZR. About the only things stock are the motor and transmission. Even the front diff was a custom piece built by DC Motorsports, but the internals were influenced by Ross. 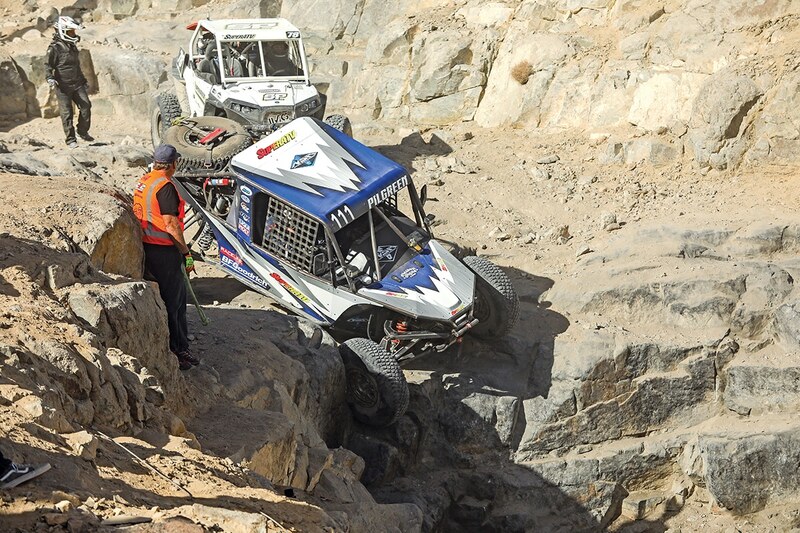 Ross Pilgreen and Heath Day finished the 2018 King of the Hammers two hours behind the winner in 10th place. A minor clutch problem and belt issues ultimately slowed them down and kept them out of the fight for the win. Ross will be back next year with a whole new rock weapon that will turn even more heads. We can’t wait to see it.